Toppings: goji berries, bee pollen, and Enjoy Life Crunchy Flax Original Cereal. In a high-speed blender, blend all ingredients together until smooth. Pour into a bowl and sprinkle with toppings. This looks delicious; such vibrant colors! This looks awesome! 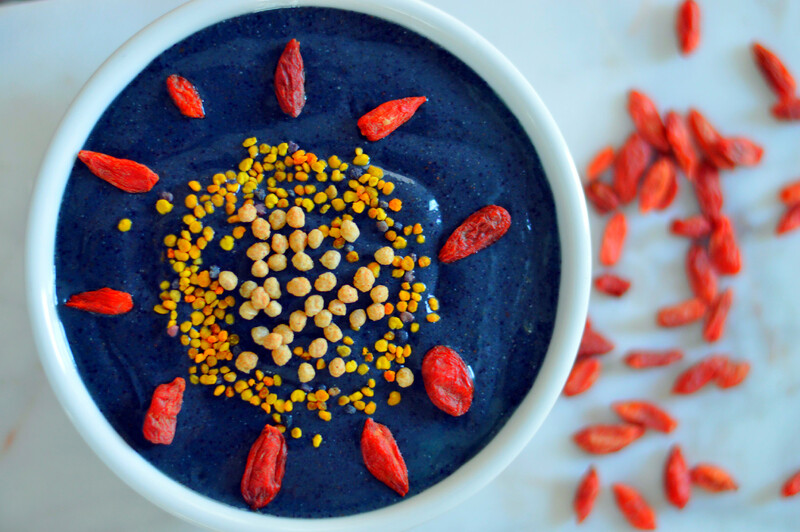 What does bee pollen taste like?